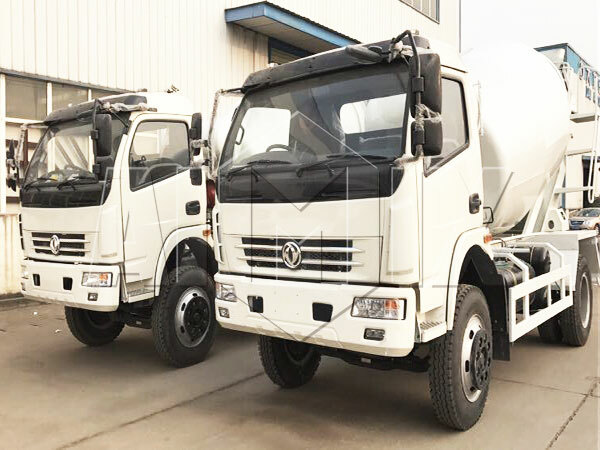 Two Sets Of Concrete Mixer Trucks Was Sent To Algeria Aimix Group Construction Equipment Co., Ltd.
Great news! 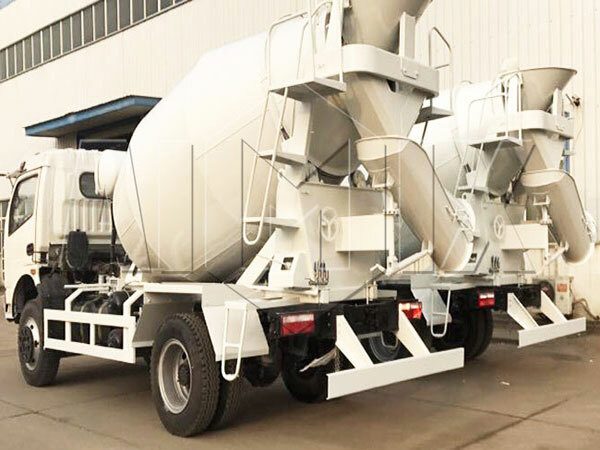 Our 6 m³ concrete mixer trucks was ready to Algeria. Both them adopt Dongfeng chassis, which are very durable and stable. 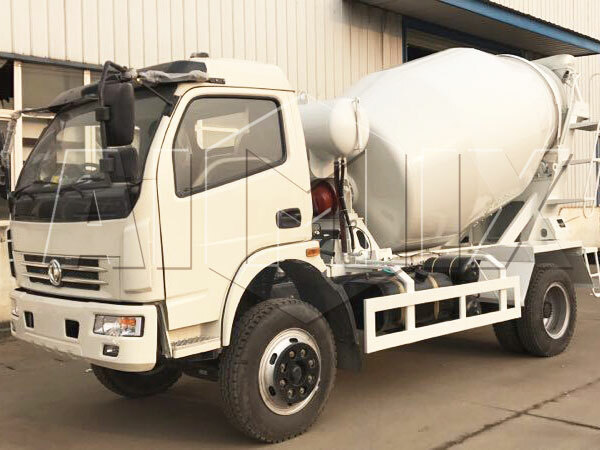 Do you know what is concrete mixer truck? It is like a mini mobile concrete batching plant, can produce a large quantity of concrete for construction project. And it is with characteristics of large output, so it is well suited to be used in dry mix concrete plant, because such project has a lower requirement for the quality of concrete, it stresses quantity. There are capacities of 3m³， 4m³， 5m³， 6m³， 7m³， 8m³， 9m³， 10m³， 12m³ and 14m³ for your selection. In addition Dongfeng chassis, we also use HOWO(Sinotruk), Shaanxi Auto, North Pennines, Isuzu, Foton, Delong as the chassis, you can visit our product page and learn more. What’s more, we have auxiliary equipment, like stationary concrete batch plant, mobile concrete batching plant for sale, ready mix plant, etc, do not hesitate to contact us, we will offer you quality products with reasonable price and professional service!